This symposium promotes the exchange of information among experts, researchers and security practitioners. It focuses on the practical aspect of adopting security technologies, specifically implementation and design. Security experts will discuss current and realistic solutions to security issues and every presentation will be followed by inclusive Q&A sessions. This summit is an opportunity for attendees to update themselves on current cyber threats and modern security techniques and strategies. Such solutions can help executives to overcome threats using solutions that are in sync with their business's strategies. The summit helps attendees to establish suitable security frameworks and provides real case studies as examples. Read more about the Houston Cyber Summit. This five-day event is considered one of the world's best cybersecurity conferences. This year, the event's theme is "Better". This simply refers to working towards finding better security solutions, forming better relationships with colleagues from across the globe and making the world a better and more secure place. Read more about the RSA Security Conference. This interactive two-day summit is an opportunity for attendees to understand how to unravel the complexities of modern-day cyber crime. The event will consist of real case studies, a workshop, live interviews with cybersecurity experts, round table discussions, as well as networking breaks and sessions. This event offers an array of experts who will discuss current cyber security issues including email, USB drive, LAN and wireless security. A large number of exhibitors will also be there to present viable tech solutions and devices. Read more about the Atlanta Cybersecurity Conference. This event consists of two parts; a two-day summit and a six-day course. The summit will provide attendees with real world experience on cloud security through case studies and practical training opportunities. It will also introduce new and improved tools and solutions for cloud security challenges. Read more about the Cloud Security Summit & Training. This summit features an advisory council consisting of former government officials, policy experts and CISOs. It is the first annual event of its kind in the United States. Though it falls in line with the themes of many existing events, it also represents a clean slate for attendees to work on as speakers are expected to bring fresh ideas to the table and cannot refer to any other similar and existing panels in their discussions. This rule encourages members to think out of the box in an attempt to re-think cybersecurity. Read more about the Global Cyber Innovation Summit. This event aims to provide attendees with new insights into security across various sectors. Experts will discuss current threats, challenges and potential security solutions. Attendees will be able to interact with technology vendors and see demos of their newest products. Some of the expected themes include legislating cybersecurity, acquiring and using reliable threat intelligence, as well as managing security in a cloud-based world. Read more about SC Media RiskSec. This event consists of two parts; a two-day summit and a six-day course. The summit aims to educate attendees on how to improve the functions of security operations centers (SOCs). This includes how to enhance network monitoring, incident response times and much more. Moreover, experts will discuss how to make such functions work in sync with each other to produce optimal performance levels in organizations. The subsequent 6-day course will include in depth training. There will also be a night out in which attendees could network, play games and socialize over food and drinks. Read more about the Security Operations Summit. This event consists of two parts; a two-day summit and eight days of relevant in depth training classes. The summit includes a range of interactive talks and workshops that educate attendees on how to improve their current security measures. It also features a range of booths providing attendees with valuable information and materials on effective cybersecurity. The event is open to all types of security officers and engineers as well as to those interested in security training. Read more about the SANS Security Awareness Summit. This annual event discusses current issues in cybersecurity and the capabilities that are required to help eliminate threats. 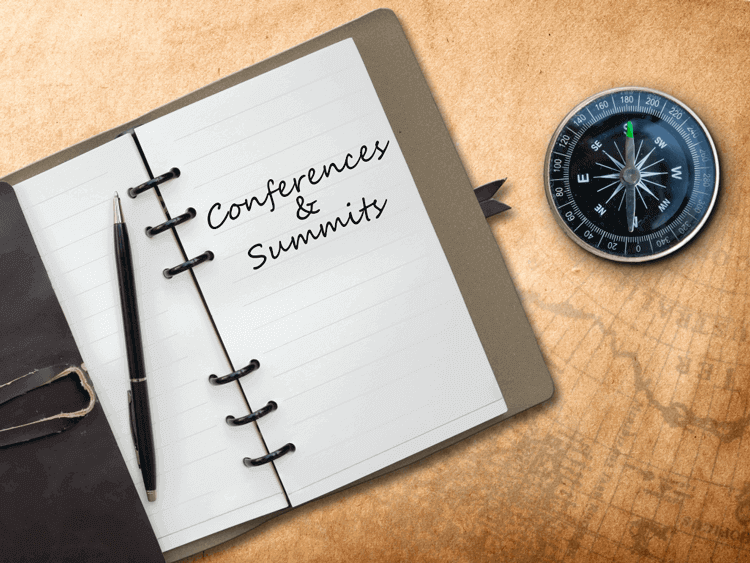 The summit will consist of an array of influential speakers, experts and panelists who will steer attendees in the right direction with regard to their future cybersecurity plans. Some key topics include Strong Authentication Methodologies, Endpoint Security and Management as well as Reducing Cybersecurity Talent Gap. Read more about CyberNext Summit.